In its simplest form a Certificate of Authenticity or CoA is a written and sealed statement by a recognized authority that a specific piece of art is what they say it is. A CoA is not an Appraisal or Statement of Value. A piece of art fluctuates in value over time. But, the authenticity of the art does not ever change. Why are Certificates of Authenticity Needed? 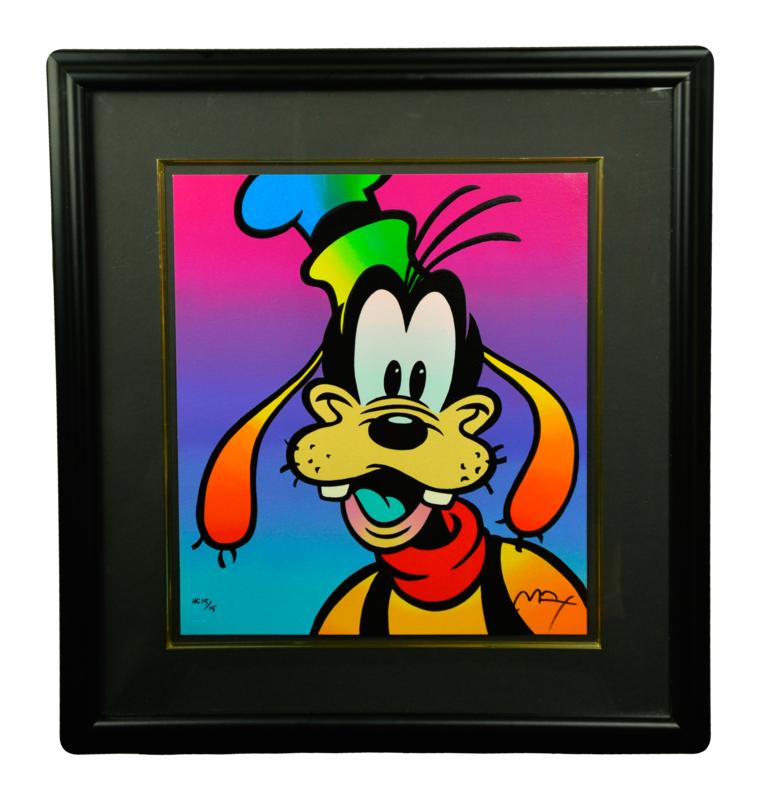 Since prints and other fine art multiples are created using so many different processes and with greater and lesser degrees of the artist’s involvement, it is very difficult for a collector to know what type of fine art they are considering and whether it is authentic. 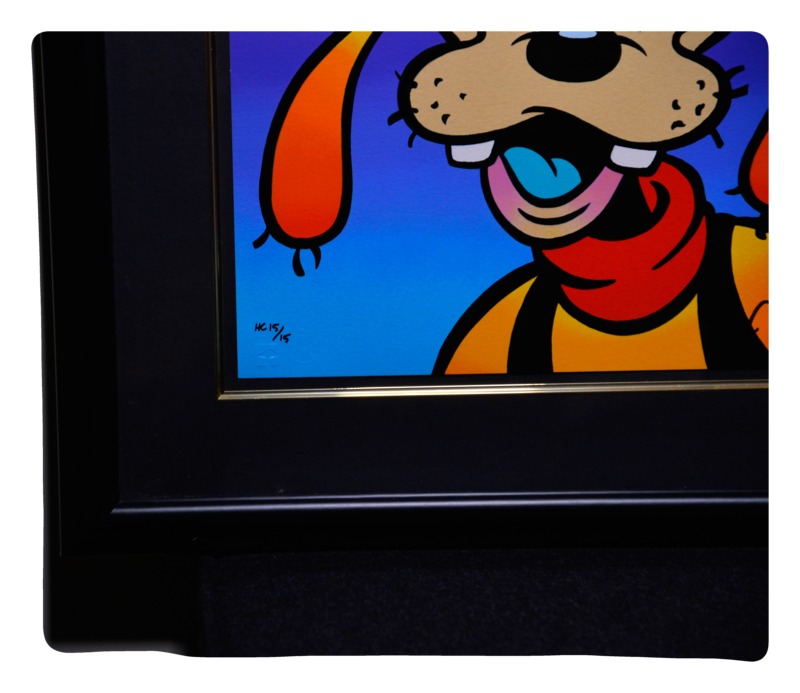 Pricing and value, as well as quality, are frequently directly related to the extent of the artist’s involvement in creating a given print. 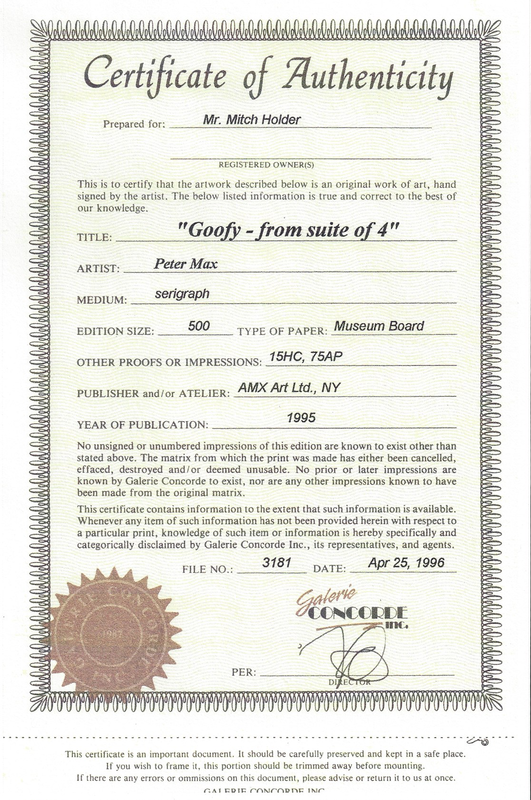 Certificates of authenticity inform the art buyer about the artist’s identity, the extent of the artist’s involvement in creating the print, the number of prints made from the same master that are available on the market, the process used to create the print, whether the print is from a limited edition, whether the master plate has been destroyed, and other information relevant to the consumer making an informed choice about the value and price of the print s/he is buying. What makes a Certificate of Authenticity Valid? CoA’s are very common in the art world. They come in various sizes and forms. A valid CoA for an artwork will include specific details about the artwork like when and how it was produced, the names of people or companies involved in the artwork’s production, the work’s exact title, the dimensions of the art. If the CoA is for a print, then it should also include a statement as to the number of future printings. But, in the end, a CoA is only valid if someone is ready to accept it as authentic. The value of a CoA is only as good as the reputation of the company that issues it. A CoA issued by Christie’s Art Auctions of New York is better than one issued by Bubba’s Pawn Shop. So, what keeps anyone from issuing a CoA in order to boost the value of their art? How about the fact that it is an offence under the Fraud Act 2006 (section 7) to create or use a CoA in the sale of an autograph or similar item. A person is guilty of an offence if he makes, adapts, supplies or offers to supply any article— (a)knowing that it is designed or adapted for use in the course of or in connection with fraud, or (b)intending it to be used to commit, or assist in the commission of, fraud. In other words, if the seller is offering fakes with a CoA, then he/she is committing more than one offence, and the offence of issuing a CoA alone is a possible 12-month prison sentence.